‘How to catch bigger fluke’ will be one of the presentations given by Capt. Dave Monti at the New England Saltwater Fishing Show this week. 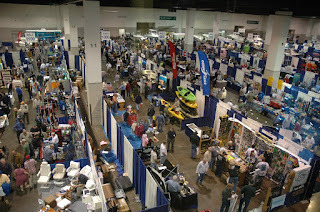 Over sixty seminars, visit www.nesaltwatershow.com . Quahog Week starts March 25: restaurants and markets are participating with quahog specials of all types. Visit www.seafoodri.com for a complete listing. The Annual New England Saltwater Fishing Show sponsored by the Rhode Island Saltwater Anglers Association (RISAA), is being held this week March 22-24 at the Rhode Island Convention Center. Friday hours are 12:00 p.m. to 8:00 p.m., Saturday, 9:00 a.m. to 7:00 p.m. and Sunday, 10:00 a.m. to 5:00 p.m.
A Kids Casting Area will be open Saturday and Sunday. Sunday is also family day with all women and children admitted free and a special scavenger hunt for children on Sunday, ask about it when you arrive at the show. Over 60 Fishing Show seminars are being given by experts on a wide range of fishing topics from how to catch larger summer flounder to in shore fishing with light tackle from shore, kayak or boat. Learn about fishing tactics and strategies from top fishermen and charter captains. I will be speaking at the Show on two topics, the first is ‘How to catch bigger fluke’ offered Friday at 2:00 p.m.; Saturday at 3:30 p.m.; and Sunday at 12:30 p.m. I will give a second seminar titled ‘Enhancing you tautog bite” on Friday at 6:00 p.m.; and Saturday at 9:30 a.m. No Fluke Charters will have a booth at the show, #205, so stop by the booth and say hello or follow me on Twitter @CaptDaveMonti. Visit www.nesaltwatershow.com/seminars.shtml for a complete listing of seminar topics and speakers. Tickets are $10 for adults, children under 12 are admitted free. Learn more about the show at nesaltwatershow.com . The U. S. Fish and Wildlife Service, in partnership with RI Department of Environmental Management (DEM) Aquatic Resource Education Program, announced its annual Cinder Worm Workshop. This is the program’s tenth year and it will include two weekday evening classes in fly tying instruction and one weekend evening of fly fishing. The program is free to registrants. The program is open to any adult or accompanied child over the age of 10, regardless of skill level--40 person maximum so register early. Instruction and guidance will be provided by some of the area’s most proficient and knowledgeable worm fishermen. Also this year is the opportunity for kayak fishing - limited to experienced kayakers who have their own vessel. Proper safety equipment is required plus lights for navigation. All fly tying materials will be provided. Participants are encouraged to bring their own tools and equipment, but all necessary fly tying tools and equipment will be loaned to registrants upon request. Saltwater fly fishing equipment, including rods, reel, lines and leaders, will be loaned to registrants who do not have their own gear and tackle. Kettle Pond Visitor Center, Charlestown, RI. The Fly Fishing portion of the program will take place Saturday, May 18, 4:00 p.m. until dark at Ninigret National Wildlife Refuge, Charlestown, RI. Capt. Ray Stachelek and Dave Pollack, fly fishing experts and USFWS volunteers will facilitate the program. For information or to register as a participant contact Scott Travers at sott.travers@dem.ri.gov. To sign-up as an instructor contact Dave Pollack at dpollipo@cox.net . The Rhode Island Seafood Marketing Collaborative, chaired by the Department of Environmental Management (DEM), will hold the 4th annual Quahog Week March 25 - March 31. The week-long celebration highlights the importance of Rhode Island’s iconic shellfish to the State’s economy and culture. Quahog Week will also feature two special events where harvesters from the RI Shellfishermen’s Association will be shucking and serving complimentary little necks and interacting with attendees about their fishery. Partners will also be providing other complimentary quahog-based samplers and beverages. Both events are free and open to the public. Quahog Night West Bay will be held Wednesday, March 27, 5:00 p.m. to 8:00 p.m. at Whalers Brewing Company, 1174 Kingstown Road, South Kingstown and Quahog Night East Bay will be held Friday, March 29, 5:00 p.m. to 8:00 p.m. at Hope & Main, 691 Main Street, Warren. Visit www.seafoodri.com for a full list of participating restaurants and markets and the specials they are offering. Cod fishing. Capt. Andy Dangelo of the Seven B’s Party Boat said, “We have been finding cod and with the weather improving everything is looking up.” Capt. Frank Blount said, “We manage to get off the dock a few times this week and found mixed results. Wednesday did see the best results with a good showing of both green and dark cod. There is still good showing of bait on the grounds and we have some amazing weather coming so things are looking up. Party boats sailing for cod fish at this time include the Frances Fleet at www.francesfleet.com , the Seven B’s (with Capt. Andy Dangelo at the helm) at www.sevenbs.com, and the Island Current at www.islandcurrent.com . 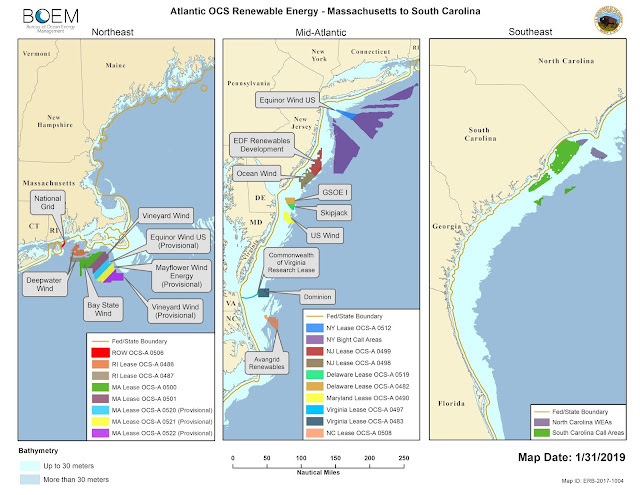 Bureau of Ocean Energy Management (BOEM) lease areas from Massachusetts to the Carolinas. 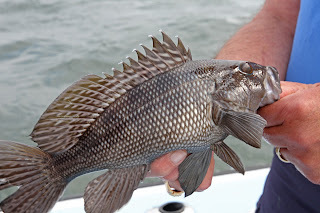 Today black sea bass are climate change winners. 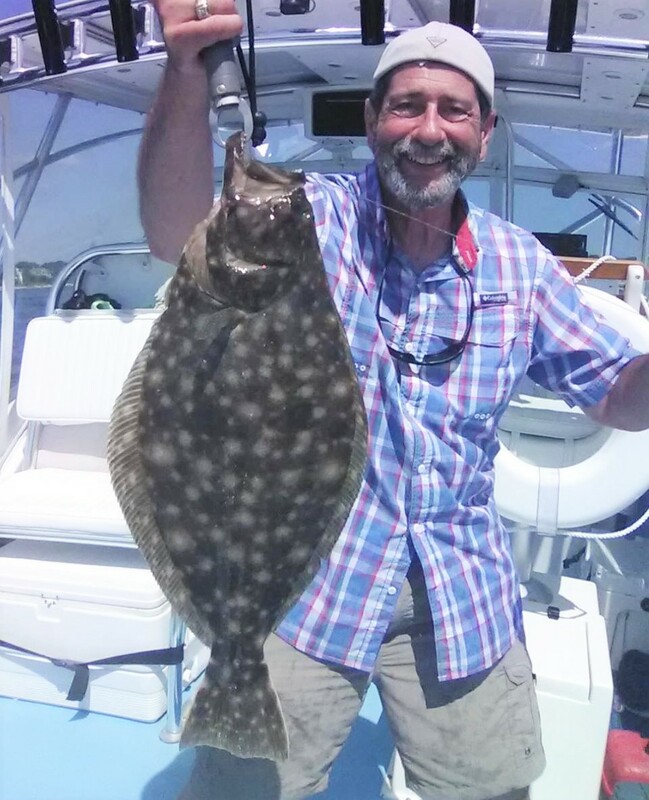 They are more abundant due to warming water like this fish caught off Rhode Island by Capt. Dave Monti. It’s very hard to get a handle on offshore wind. We have twenty or so lease areas from Massachusetts to the Carolinas, six of them (all granted to developers now) are off Rhode Island and Massachusetts. The kicker is that each of these lease areas will house multiple projects. Projects that could harm or help habitat and fish in their area. However, the big question being asked by fishermen and scientists alike, is what cumulative impact they will they have on fish and habitat when they are all built, up and running? For the past few months Vineyard Wind has been in negotiation with fishermen on a mitigation plan for one project… eventually many projects will be built on the east coast. The permitting process and various stages of approval for any one wind farm is daunting including, hundreds of meetings, hearings, permits, negotiations, etc. Who knows what effect several projects in an area will have, developers have been just trying to get their project up and running. Offshore wind farm developers are much like land developers. They acquire or lease a parcel and then develop it with ocean wind farms as they have the electricity sold. Much the same way that a land developer would develop a large parcel of land only building what they have good reason to believe they can sell in stages. Last month during mitigation negotiations Rhode Island fishermen on the Fisheries Advisory Board (FAB) of the Coastal Resource Management Council (CRMC) approved a $16.7-million negotiated mitigation agreement with Vineyard Wind. The settlement provides funds for research to study safe effective fishing in the project area as well as research that may help future projects and their relationship to fishing. The agreement also includes $4.2 million in payments spread over 30 years for assistance with direct impacts of the wind farm on fishing in Rhode Island. The Fisheries Advisory Board of CRMC, the Anglers for Offshore Wind (AFOW) which is a recreational fishermen’s group that supports the responsible development of ocean wind, and the Rhode Island Saltwater Anglers Association (RISAA) all expressed concern to the Bureau of Ocean Energy Management (BOEM) about cumulative impacts. All expressed concern at public hearings and in writing after hearings pertaining to Vineyard Wind’s Environmental Impact Statement on the project. RISAA and the AFOW both suggested that BOEM establish regional fisheries advisory committees. The committees would look at wind farms on a regional basis taking into account any negative or positive cumulative impacts on habitat and fish multiple wind farms in a region may have together. Renewable energy in the form of offshore wind is vitally important for our nation to help stem the tide on climate change and provide clean, affordable energy for all Americans. However, we have to stay on top of things and make sure we do no harm to fish or habitat in the process. I believe regional committees that keep an eye on individual projects and cumulative impacts of multiple wind farms in a region makes a lot of sense. Like other fishermen I hope BOEM takes this suggestion under advisement and forms such committees. For information on ocean wind farms visit https://www.boem.gov/Offshore-Wind-Energy/ . A study titled ‘Impacts of historical warming on marine fisheries production’ was released in Science magazine last week at http://science.sciencemag.org/content/363/6430/979. The study was led by Christopher M. Free of the Department of Marine and Coastal Sciences, Rutgers University along with a number of collaborating scientists. The study used temperature-dependent populations models to measure the influence of warming. Some populations responded significantly positively and others responded significantly negatively to warming. Hindcasts indicate that the maximum sustainable yield of the evaluation populations (235 of them) decreased by 4.1 percent from 1930 to 2010, with five ecoregions experiencing loses of 15 to 35 percent. In a Rutgers Today interview, study co-author Dr. Malin Pinsky said, “We were stunned to find that fisheries around the world have already responded to ocean warming. These aren’t hypothetical changes sometime in the future.” Rutgers Today said the study reports that the effects of ocean warming have been negative for many species, but also finds that other species have benefited from warming waters. Black sea bass and scup are examples of species that have benefited from warming in our region, however, as study scientists related even these species (as well as other species in our region) may start to decline as temperature continues to rise. The Rhode Island Department of Environmental Management and the RI Marine Fisheries Council is holding a public hearing on a number of proposed commercial and recreational 2019 regulations Monday, March 11, 6:00 p.m., Corless Auditorium, URI Bay Campus, Narragansett. Regulations covered at the meeting will include black sea bass, summer flounder, scup, striped bass, bluefish, cod and others. For the meeting agenda and a copy of the presentation that will be given at the hearing visit www.dem.ri.gov/programs/fish-wildlife/marine-fisheries/rimfc/index.php. Stripers Forever expects the ASMFC to announce in May that regulatory changes will be imposed in 2020 to reduce striped bass mortality; specifically minimum sizes will be increased for recreational fishing and a decreased commercial quota for the commercial fishery. Some states may take immediate actions to reduce striped bass mortality, especially release mortality, such as Massachusetts, where circle hooks may become mandatory for bait fishing and gaffing of live striped bass may be prohibited. Cod fishing. Party boats sailing for cod this time of year includes the Frances Fleet at www.francesfleet.com , the Seven B’s at www.sevenbs.com, and the Island Current at www.islandcurrent.com . The New England Saltwater Fishing Show, March 22-24 at the Rhode Island Convention Center, will feature over 300 exhibitors and 60 fishing seminars. Visit www.nesaltwatershow.com for details. Get ready to fish at the New England Saltwater Fishing Show, March 22-24 at the Rhode Island Convention Center. This year it’s the largest ever and includes tackle, rods, reels, lures, electronics, charter guides, boats, motors, accessories, clothes and much more. 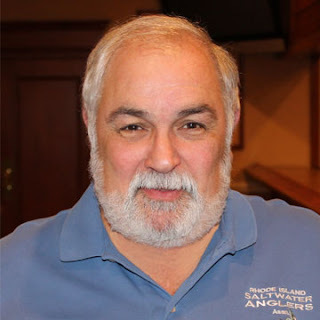 Steve Medeiros, show director and president of the Rhode Island Saltwater Anglers Association (show sponsors), said, “We expanded the show adding booths and total over 300 exhibitors with over sixty seminars in three different areas. Many exhibitors are offering show specials.” Seminars are given by experts on a wide range of fishing topics from how to catch larger summer flounder to in shore fishing with light tackle from shore, kayak or boat. Learn about fishing tactics and strategies from top fishermen and charter captains. Visit www.nesaltwatershow.com/seminars.shtml for a complete listing of seminar topics and speakers. By taking a little time to plan your show visit you can make sure you are at the show for the presentations you want to see and visit the booths that have products you want to see. Special speakers at the show include National Geographic’s ‘Wicked Tuna’ Capt. Dave Carraro of Tuna.com and Capt. Paul Hebert of Wicked Pissah. The duo will take the show stage and talk about what goes on behind the scenes when filming the Wicked Tuna show. To get the most out of the show, I select the exhibitor booths I want to visit before the show by circling them in the program and marking them on the show floor plan. I then spend some time reviewing the seminar topics and speakers noting the ones I want to attend and the times they are offered (most are offered more than once). 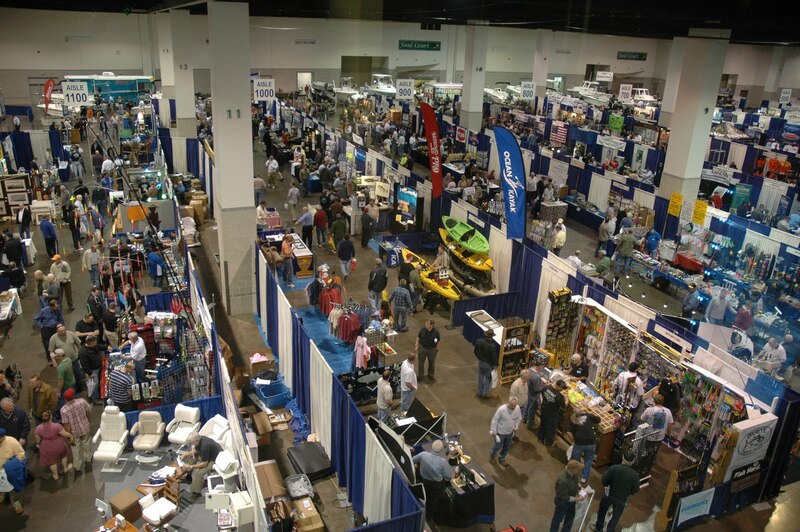 The New England Saltwater Fishing Show is being held at the Rhode Island Convention Center Friday, March 22, 12:00 p.m. to 8:00 p.m.; Saturday, March 23, 9:00 a.m. to 7:00 p.m.; and Sunday, March 24, 10:00 a.m. to 5:00 p.m.
Sunday is family day at the show. All women and children under 12 will be admitted free on Sunday, March 24. A scavenger hunt for children will be held Sunday. As a child enters the show with a parent they are given a Scavenger Hunt search sheet that can net them a variety of prizes. Tickets at the door are $10, however advance sales discounted tickets online are $8.00 each. Children 12 and under are admitted free. Visit www.nesaltwatershow.com for advance ticket sales. On Monday, February 25 the Fisheries Advisory Board (FAB) of the Coastal Resource Management Council (CRMC) approved a $16.7-million negotiated mitigation agreement with Vineyard Wind. Approval of the package moves the project forward to the entire CRMC which at press time was scheduled to be Tuesday to discuss the Vineyard Wind project. The settlement provides more funds upfront for research to study safe effective fishing in the project area as well as research that may help future projects and their relationship to fishing. $2.5-million, for five years in a trust fund will be managed by Rhode Island fishermen. The agreement also includes $4.2 million in payments spread over 30 years for assistance with direct impacts of the wind farm on fishing in Rhode Island. The Narragansett Chapter of Trout Unlimited (TU225) will hold their Annual Fundraiser Banquet Saturday, April 6, 3:00 p.m. to 7:00 p.m. at the Coventry/West Greenwich Elks Lodge, 42 Nooseneck Hill Road, West Greenwich, RI. The banquet will feature an early evening dinner buffet, numerous bucket raffles, as well as a silent and live auction. Items vary from a Baxter House Outfitters guided wading trip on the Beaverkill River or Willowemoc Creek, a Thomas and Thomas Vector 5wt travel rod, other fly fishing rods and gear, fresh and salt water flies, Bass Pro Gift Cards, movie tickets, gift certificates for therapeutic massage plus many items donated by our membership. Tickets are $35.00 and can be purchased at the door. For information or to donate auction items contact Susan Estabrook at 401.848.1070. The Rhode Island Department of Environmental Management (DEM) reminds anglers that the freshwater fishing season runs from March 1 through February 28. Regardless of when they were purchased, recreational freshwater fishing licenses for the 2018 season will expire on February 28, 2019. Licenses for the 2019 season are available online at www.dem.ri/gov and will be valid from March 2019 through February 2020. The recreational saltwater fishing season runs on a calendar-year basis, visit www.dem.ri.gov in Rhode Island and in Massachusetts visit https://www.mass.gov/massfishhunt-buy-fishing-or-hunting-licenses . The Weekapaug SurfCasters will meet Sunday, March 3, 1:00 p.m. at the Misquamicut Fire House, 65 Crandall Avenue, Westerly. 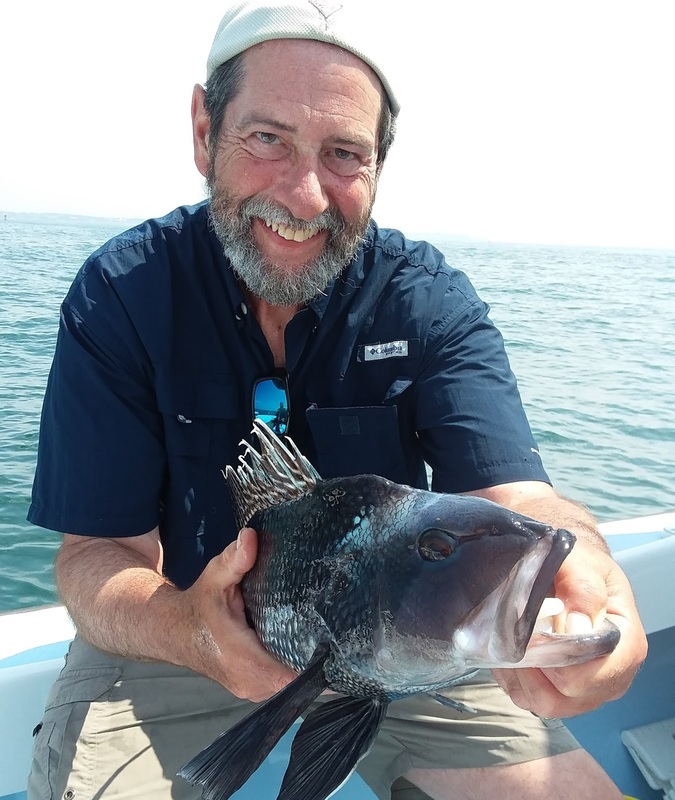 Gill Bell, noted local surfcasting expert and club member will speak about “Surfcasting South County for bluefish and striped bass”. For information contact Gil Bell at gannetgil@cox.net. Freshwater fishing. Neil Hayes of Quaker Lane Bait & Tackle, North Kingstown said, “With most of the ice melted things have slowed down. In this area anglers were targeting pike, largemouth bass and trout in the ponds that were stocked by DEM.” John Littlefield of Archie’s Bait & Tackle Riverside, said, “I’ve had my best winters for business in a long time. Sold a lot of shiners to anglers ice fishing in northern parts of Rhode Island and Massachusetts. This week in addition to shiners I had some blue gills that were about six inches and some small catfish. Those were the first to go as anglers were buying them to target pike.” Opening Day for the freshwater season is April 13 this year (always the second Saturday in April). Anglers (even saltwater anglers) use opening day as the official start of the fishing season. The States of Massachusetts and Rhode Island will be stocking trout in preparation for Opening Day sometime in late March/early April. Cod fishing was good last week, the best it has been since the New Year. Capt. Frank Blount of the Frances Fleet said, “We did manage to get out a few times last week and are happy to report some of the best action we have seen in weeks. 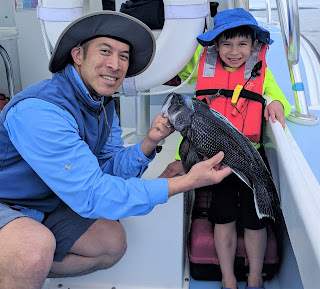 We fished on Sunday close to Block Island and found a few small fish but nothing really to work on. Captain Mike decided to take a ride out to the deep water. We found some nice cod waiting with open mouths. The weather was so nice we were able to power drift to stay right on top of the fish. We then were able to make it out on the following Saturday. We found some nice market cod to work on with quite a few shorts in the mix.” Party boats sailing for cod this time of year includes the Frances Fleet at www.francesfleet.com , the Seven B’s at www.sevenbs.com, and the Island Current at www.islandcurrent.com .